Draft: 2006, Pittsburgh Pirates, 8th rd. Originally selected by the Pittsburgh Pirates in the eighth round of the 2006 First-Year Player Draft...Played baseball at the University of Mississippi from 2004-06, where he set freshman records for triples (six) and stolen bases (nine)...Named to the All-Tournament Team at the SEC Tournament in his final season at Ole Miss. Split the season between the Tigers and Triple-A Toledo...Appeared in 71 games for Detroit and batted .314 (77-for-245) with 10 doubles, three triples, three home runs, 20 RBI, and 30 runs scored ... Played in 43 games with Triple-A Toledo and batted .216 (36-for-167) with six doubles, nine RBI, and 26 runs scored ... Hit his first home run as a Tiger on 6/4 vs. CWS, it was his first home run since 5/6/16 at CIN ... Sidelined from 6/23-7/5 with a concussion and again from 7/29-8/12 with a right side strain ... Had a 10-game hittng streak from 7/9-23 and hit .459 (17-for-37) with seven runs scored, four doubles and four RBI during the streak, which was the second-longest of his career, trailing only a 12-game streak from 4/14-28/12 ... Posted a .380 (19-for-50) batting average with nine runs scored, four doubles, and six RBI in 16 games during July ... Recorded his first career four-hit game on 9/2 vs. CLE and added a second four-hit game on 9/19 vs. OAK ... Batted .351 (34-for-97) with 12 runs scored, three doubles, two triples, and seven RBI in 23 games in September. Split the season between the Milwaukee Brewers organization and the Detroit Tigers organization…Assigned to Milwaukee's Triple-A Colorado Springs to begin the season…Had his contract purchased by the Brewers on 4/21…Belted a two-run, pinch-hit home run on 4/24 vs. PHI, his third-career pinch-hit homer and his first since 6/12/13 vs. SF…Homered in back-to-back games on 5/5-6 at CIN…Designated for assignment on 6/28 and was outrighted to Triple-A on 7/1...Elected free agency on 7/2...Signed to a minor league contract by the Tigers on 7/9 and was assigned to Class A-Advanced Lakeland…Played in two games with the Flying Tigers before his option was transferred to Triple-A Toledo on 7/14…Hit safely in 14 of his first 15 games with Toledo from 7/14-29, and batted .295 (18-for-61) with five runs scored, four doubles, two triples, and five RBI during the stretch…Had a 10-game hitting streak from 8/5-15 and hit .415 (17-for-41) with seven runs scored, four doubles, one triple, and three RBI…Had his contract purchased from Triple-A Toledo on 8/18 and made his Tigers debut that night vs. BOS…Was designated for assignment on 8/27. Spent most of the season with Houston's Triple A-Fresno…Recorded a season-high six hits on 6/1 at Oklahoma City, going 6-for-7 with three runs scored, three doubles, a home run, and five RBI...Finished the month of June with a .343 (36-for105) batting average with 16 runs scored, seven doubles, one triple, two home runs, and 21 RBI in 27 games…Had his contract purchased by the Astros on 7/3…Made his season debut with Houston on 7/3 at BOS, recording two hits with a run scored and a RBI…Designated for assignment on 7/18 and was outrighted to Triple-A Fresno on 7/24. Made his second Opening Day roster after leading off and starting in left field for the Pirates on Opening Day in 2012...played in 85 games with 67 starts (29 in LF, 20 in RF, 14 in CF, 4 at DH)...after making the Opening Day roster, played in 70 games through July 7...was placed on the 15-day Disabled List on July 8...missed 47 games before being activated on Sept. 2...played in 19 games through the end of the season... hit .293 (43x147) in his 42 starts before being placed on the DL...had 13 multi-hit games up to that point...all six of his home runs came off of right-handed pitchers...the lefty managed to post a .375 (9x24) batting average against left-handed hurlers...in 33 starts from April 17-June 11, batted .310 (31x100) with a .793 OPS...was 2x4 with a two-run single and a solo homer on June 28 vs. DET...was his 11th multi-hit effort of the season...tied a career high with the three RBI...played in two rehab games from Aug. 12-15 with the Class A Short Season A Tri-City ValleyCats...hit .200 (1x5) with a triple and a walk...was claimed off waivers from Minnesota on March 27, 2014. Started season with Triple-A Indianapolis (Pittsburgh)...Hit .302 (16-for-53) with three doubles, two home runs and seven walks in 15 April games for Indianapolis...Recalled by Pittsburgh four times during the season...played 11 games in June for the Pirates, hitting .297 (11-for-37)...Hit .420 (21-for-50) with four doubles and .473 on-base percentage in final 12 games with Indianapolis... Acquired by Minnesota along with a Player to be Named Later (right-handed pitcher Duke Welker) in exchange for Justin Morneau August 31; recalled by Minnesota that same day...Made Twins debut September 1 at Texas, going 3-for-4 with an RBI and a run scored... Recorded a hit in 20 of 28 games with the Twins...Served as the club's primary leadoff hitter, batting .286 (32-for-112) with four doubles, eight walks and a .339 on-base percentage from that spot...Recorded 32 hits in September, the second most in the AL among outfielders. Led Pirates with a career-high seven triples, the most by a Pittsburgh player since Andrew McCutchen had nine in 2009...Was Pittsburgh's Opening Day leadoff hitter and starter in left field...Hit safely in each of his first five games (7-for-21, .333)...Had walkoff single in 10th inning vs. Philadelphia on 4/7...Had a career-high 12-game hitting streak from 4/14-28, going 16-for-50 (.320) with four doubles and a home run...Led off the bottom of the first inning on 4/20 vs. St. Louis with an inside-the-park home run - just the second hit by a Pittsburgh player in the 12 seasons of play at PNC Park (Jack Wilson hit the other one on 7/2/04 vs. Milwaukee)...It was also the first inside-the-park homer by a Pittsburgh player leading off the first inning since Omar Moreno did so in Houston on June 21, 1980...Hit .288 in 20 games during the month of April...Went 3-for-38 (.079) in his first 14 games in May and was optioned to Triple-A Indianapolis on 5/16...Hit .277 with five home runs and 14 RBI in 18 Triple-A games between 5/17 and 6/4...Tripled in back-to-back games on 5/24-25...Homered in back-to-back games on 5/27-28 and again on 6/2-3...Was recalled by Pittsburgh on 6/5 and went 2-for-5 with a triple and a homer in Cincinnati that night...Homered in back-to-back games in Cleveland on 6/16-17...Hit .274 (26-for-95) with five doubles, three triples, four home runs, six RBI and five stolen bases in first 25 games after being recalled by the Pirates from 6/5 thru 7/2...Sustained concussion-like symptoms while diving for a ball in the first inning on 7/3 and came out of the game in the fifth...Was placed on the 7-day D.L on 7/5...Went 4-for-8 with a walk in two games on rehab with Indianapolis from 7/14-15...Was recalled from rehab assignment and reinstated from D.L. on 7/16...Batted .204 (11-for-54) in 17 games with the Pirates after coming off D.L. thru 8/7...Was optioned to Indianapolis on 8/8 and hit .313 (25-for-80) in 20 Triple-A games during the month of August...Was recalled again by Pittsburgh on 8/31 and finished season in the big leagues...Produced a .247 average (19-for-77) in his final 27 games with the Pirates...Made a total of 81 appearances (69 starts) in left field, eight appearances (seven starts) in right field and four appearances (two starts) in center field while playing with Pittsburgh...The Pirates went 28-8 when he scored at least one run in a game...Hit .251 (61-for-243) with 13 doubles, five triples, five homers, 15 RBI and 33 runs scored from the leadoff spot. Produced a professional season-high 179 hits, including his time withTriple-A Indianapolis, Class-A Bradenton and Pittsburgh...Began season with Indianapolis andhit safely in each of his first seven games, going 14-for-29 (.483) with a homer, four RBI and sixruns scored...Hit .333 (30-for-90) in 24 games during the month of April and .345 (40-for-116)in 28 games the following month...Produced six multi-hit games over a seven-game span from4/30 thru 5/8, batting .536 (15-for-28) in that time...Homered twice and knocked in six runs vs.Scranton Wilkes-Barre on 6/2...Had first of two four-hit games with Indy on 6/23 at Lehigh Valley...Was leading the International league in hits (98) and was batting .336 when he was selected byPittsburgh on 6/27...Made first start with the Pirates in left field on 6/28 at Toronto and connectedoff Jo-Jo Reyes for first Major League home run in his second at bat (went 2-for-5 with three RBIin the game)...Hit safely in 15 of his first 20 games with the Pirates, going 27-for-81 (.333) withnine RBI and 12 runs scored thru 7/22...Was placed on 15-day disabled with a left hand contusion on 7/25 (retro to 7/24)...Went 1-for-6in two rehab games with Bradenton on 8/9 and 8/11 before having rehab transferred to Indianapolis, where he hit .320 (16-for-50) in 12games...Made a toal of 64 appearances in left field, 22 in center field and six in right field while playing with Indianapolis...Was recalledfrom rehab and reinstated from D.L. on 8/25...Hit second home run with Pirates on 9/1; a two-run shot off Los Angeles' Blake Hawksworthat PNC Park...Tripled twice on 9/2 at Chicago and went 8-for-14 in three-game series at Wrigley Field from 9/2-4...Connected off ShaunMarcum for first career leadoff home run on 9/26 at Milwaukee...Hit .276 (37-for-134) in 32 games with Pittsburgh after being reinstatedfrom D.L...Had six three-hit games (Pirates went 6-0 in those games) and 20 multi-hit games (Pirates went 14-6)...Tied for ninth in theN.L. with 33 hits and shared league lead with three triples in September...Hit .327 (49-for-150) against RHP, .231 (15-for-65) against LHPand .333 (13-for-39) with runners in scoring position for the Pirates...Produced a .302 (55-for-182) average in 43 games as the leadoffhitter and went 8-for-31 (.258) in seven games while batting second...Made 48 appearances (47 starts) in left field and five appearances(three starts) in center field while playing with Pittsburgh...Had two assists from left field and committed lone error (fielding) while playingleft field on 9/12 vs. St. Louis...Was named to the International League's post-season All-Star team. Was named Pittsburgh's Minor League Player-of-the-Year after batting .320 (166-for-518) with 28 doubles,13 triples, 12 home runs, 85 RBI and 86 runs scored in 136 combined games between Double-A Altoona and Triple-AIndianapolis...Led the minor league system in batting, tied for first in games played and ranked fourth in RBI...Began season withAltoona, where he made 53 appearances in left field, 12 in right field and eight in center field...Hit first Double-A home run and hadfive RBI on 4/19 at Akron...Fell a home run shy of hitting for the cycle on 4/28 vs. Akron...Reached base safely in 24 straight gamesfrom 4/11 thru 5/10, which included a 19-game hitting streak (29-for-74, .392) from 4/11 thru 5/5...Homered twice and knockedin a team record eight runs on 5/24 at Akron...Also tied a club record with four extra-base hits on 5/24 (two homers, one double andone triple)...Led Eastern League with a .391 (45-for-115) average and ranked second with 26 RBI in May...Was leading the circuitwith a .371 average and 66 hits at the end of the month...Hit safely in seven of his last eight games with Altoona and was leadingthe league with a .350 batting average when he was promoted to Indianapolis on 6/25...Went 5-for-6 and hit for the cycle in his firstfour at bats in his third Triple-A game on 6/27 vs. Toledo...Homered twice on 6/30 at Columbus...Produced a .460 average (23-for-50) during a 13-game hitting streak from 7/5-21...Went 5-for-5 on 7/19 vs. Lehigh Valley...Batted .330 (36-for-109) in 29 gamesduring the month of July...Had back-to-back three-hit games on 8/28-29...Made 64 appearances in center field and three in left fieldwhile playing with Indy...Had contract selected by Pittsburgh on 9/7...Made Major League debut on 9/8 vs. Atlanta and singled offCristhian Martinez in second at bat (played final three innings in center field)...Made first big league start in right field on 9/12 atCincinnati and went 1-for-4...Made second and final start (LF) with the Pirates on 9/17 vs. Arizona...Hit safely in three straightgames from 9/24-26, raising average to .353 (6-for-17)...Went hitless in his last six at bats...Made eight appearances in right field,three in center field and two in left field while playing with Pittsburgh...Also went 2-for-6 as a pinch hitter. Spent second straight full season with Carolina League champion Lynchburg club...Led league in triples and set a clubsingle-season record in that department...Hit .310 in 14 games during the month of April and produced longest hitting steak of theseason (nine games) from 4/13-24 (.385)...Combined to hit just .201 in 49 games during May and June...Batted .289 with threehomers and 16 RBI from 6/1 thru the end of the season...Hit .284 against right-handed pitchers and .190 against lefties...Made 85appearances in center field, 15 in left field and nine in right field...Also went 6-for-22 (.273) with a home run in five games as thedesignated hitter. Spent entire season with Lynchburg...Went 5-for-34 (.147) in his first 10 games before being placed on the disabled list on4/17 with a right ankle sprain...Returned to action on 5/5 and went 2-for-3...Hit first home run on 5/12...Hit safely in 17 of his 21 gamesfrom 5/28 thru 6/28...Was hitting .281 during the second half before season was cut short on 8/5 due to a fractured left indexfinger...Made all 81 defensive appearances in center field. Spent full season with Hickory (A)...Hit .324 (11-for-34) in his first nine games and .284 during the month of April...Struggledin May, hitting just .204 in 25 games...Went 4-for-4 with two RBI on 6/8 at Asheville...Batted .468 (15-for-32) during an eight-gamehitting streak from 6/11-21 and put together a 14-game hitting streak from 6/26 thru 7/12 (29-for-68, .426) that raised his seasonaverage from .271 to .305...Had four hits on 6/29 at Asheville...Batted .351 with 12 doubles, four triples, seven home runs and 31 RBIduring June (.366) and July (.339)...Turned in his third four-hit game of the season on 7/31; going 4-for-4 at Charleston...Made 89appearances in center field, 27 appearances in left field and one in right field (6/12 at West Virginia)...Made his final 66 defensiveappearances in center field...Batted .306 (11-for-36) with five RBI in 13 games with North Shore during the Hawaiian Winter League(team managed by Jeff Banister). Spent first professional season with Williamsport and led New York-Penn League in triples...Made 34 appearances in left field,23 in center field and one in right field (8/2 at Jamestown)...Went 2-for-3 with a triple, two RBI and two runs scored in his first gameon 6/22...Hit first pro home run on 8/8 at Auburn...Hit all three of his home runs in August while also hitting .281 with 13 RBI in 26games during the month...Was hitting .209 following the action on 8/13, but batted .371 (26-for-70) in his final 20 games to end theseason with a .260 average. June 29, 2018 Charlotte Knights released LF Alex Presley. 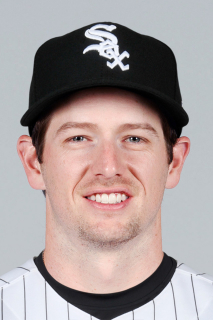 May 23, 2018 Chicago White Sox signed free agent LF Alex Presley to a minor league contract. May 23, 2018 LF Alex Presley assigned to Charlotte Knights. May 18, 2018 Norfolk Tides released LF Alex Presley. February 21, 2018 LF Alex Presley assigned to Norfolk Tides. February 19, 2018 Baltimore Orioles signed free agent RF Alex Presley to a minor league contract and invited him to spring training. November 6, 2017 RF Alex Presley elected free agency. November 2, 2017 Detroit Tigers sent RF Alex Presley outright to Toledo Mud Hens. August 12, 2017 Detroit Tigers activated RF Alex Presley from the 10-day disabled list. August 9, 2017 Detroit Tigers sent OF Alex Presley on a rehab assignment to Toledo Mud Hens. July 29, 2017 Detroit Tigers placed OF Alex Presley on the 10-day disabled list retroactive to July 27, 2017. Right side strain. July 5, 2017 Detroit Tigers activated OF Alex Presley from the 10-day disabled list. July 2, 2017 Detroit Tigers placed OF Alex Presley on the 10-day disabled list. Concussion. June 23, 2017 Detroit Tigers placed OF Alex Presley on the 7-day disabled list. Concussion. May 28, 2017 Detroit Tigers selected the contract of OF Alex Presley from Toledo Mud Hens. January 10, 2017 Detroit Tigers signed free agent OF Alex Presley to a minor league contract and invited him to spring training. January 10, 2017 OF Alex Presley assigned to Toledo Mud Hens. October 3, 2016 LF Alex Presley elected free agency. August 29, 2016 Detroit Tigers sent LF Alex Presley outright to Toledo Mud Hens. August 27, 2016 Detroit Tigers designated LF Alex Presley for assignment. August 18, 2016 Detroit Tigers selected the contract of CF Alex Presley from Toledo Mud Hens. July 14, 2016 RF Alex Presley assigned to Toledo Mud Hens from Lakeland Flying Tigers. July 10, 2016 RF Alex Presley assigned to Lakeland Flying Tigers. July 8, 2016 Detroit Tigers signed free agent OF Alex Presley to a minor league contract. July 1, 2016 RF Alex Presley elected free agency. July 1, 2016 Milwaukee Brewers sent RF Alex Presley outright to Colorado Springs Sky Sox. June 28, 2016 Milwaukee Brewers designated RF Alex Presley for assignment. April 21, 2016 Milwaukee Brewers selected the contract of RF Alex Presley from Colorado Springs Sky Sox. April 4, 2016 LF Alex Presley assigned to Colorado Springs Sky Sox. December 11, 2015 Milwaukee Brewers signed free agent LF Alex Presley to a minor league contract and invited him to spring training. October 5, 2015 LF Alex Presley elected free agency. July 24, 2015 Houston Astros sent LF Alex Presley outright to Fresno Grizzlies. July 18, 2015 Houston Astros designated LF Alex Presley for assignment. July 2, 2015 Houston Astros selected the contract of LF Alex Presley from Fresno Grizzlies. April 8, 2015 Houston Astros sent LF Alex Presley outright to Fresno Grizzlies. April 1, 2015 Houston Astros designated LF Alex Presley for assignment. September 2, 2014 Houston Astros activated LF Alex Presley from the 15-day disabled list. August 12, 2014 Houston Astros sent OF Alex Presley on a rehab assignment to Tri-City ValleyCats. March 27, 2014 Houston Astros claimed LF Alex Presley off waivers from Minnesota Twins. August 31, 2013 Minnesota Twins traded 1B Justin Morneau to Pittsburgh Pirates for Player To Be Named Later and CF Alex Presley. August 31, 2013 LF Alex Presley roster status changed by Indianapolis Indians. August 13, 2013 Pittsburgh Pirates optioned LF Alex Presley to Indianapolis Indians. July 29, 2013 Pittsburgh Pirates recalled Alex Presley from Indianapolis Indians. June 20, 2013 Pittsburgh Pirates optioned Alex Presley to Indianapolis Indians. June 20, 2013 Alex Presley roster status changed by Indianapolis Indians. June 8, 2013 Pittsburgh Pirates recalled Alex Presley from Indianapolis Indians. June 3, 2013 Pittsburgh Pirates optioned Alex Presley to Indianapolis Indians. May 31, 2013 Pittsburgh Pirates recalled Alex Presley from Indianapolis Indians. April 23, 2013 Pittsburgh Pirates optioned Alex Presley to Indianapolis Indians. April 15, 2013 Pittsburgh Pirates recalled Alex Presley from Indianapolis Indians. March 27, 2013 Pittsburgh Pirates optioned Alex Presley to Indianapolis Indians. August 31, 2012 Pittsburgh Pirates recalled Alex Presley from Indianapolis Indians. August 8, 2012 Pittsburgh Pirates optioned Alex Presley to Indianapolis Indians. July 16, 2012 Alex Presley roster status changed by Pittsburgh Pirates. July 14, 2012 sent LF Alex Presley on a rehab assignment to Indianapolis Indians. June 5, 2012 Pittsburgh Pirates recalled Alex Presley from Indianapolis Indians. May 16, 2012 Pittsburgh Pirates optioned Alex Presley to Indianapolis Indians. August 25, 2011 Alex Presley roster status changed by Pittsburgh Pirates. August 12, 2011 sent CF Alex Presley on a rehab assignment to Indianapolis Indians. August 9, 2011 sent CF Alex Presley on a rehab assignment to Bradenton Marauders. June 27, 2011 Pittsburgh Pirates recalled Alex Presley from Indianapolis Indians. March 14, 2011 Pittsburgh Pirates optioned Alex Presley to Indianapolis Indians. September 7, 2010 Pittsburgh Pirates selected the contract of Alex Presley from Indianapolis Indians. June 25, 2010 Alex Presley assigned to Indianapolis Indians from Altoona Curve. April 2, 2010 RF Alex Presley assigned to Pittsburgh Pirates.